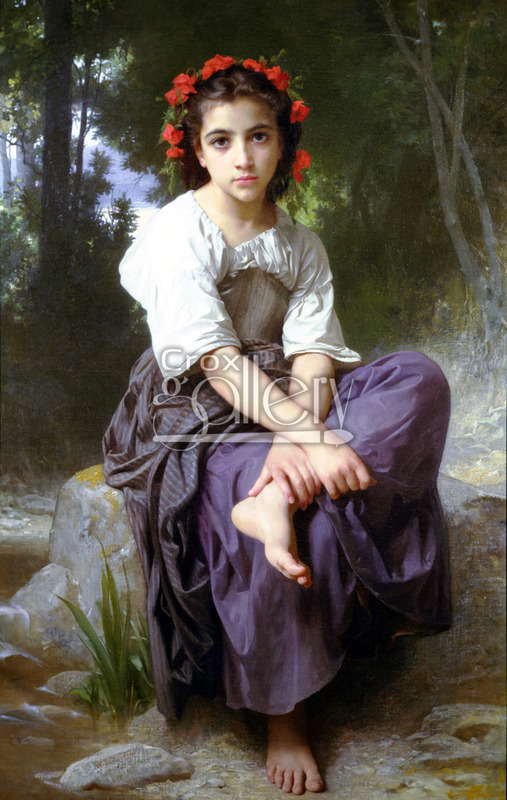 "At the Edge of the Brook" by W. A. Bouguereau, rural-realism. 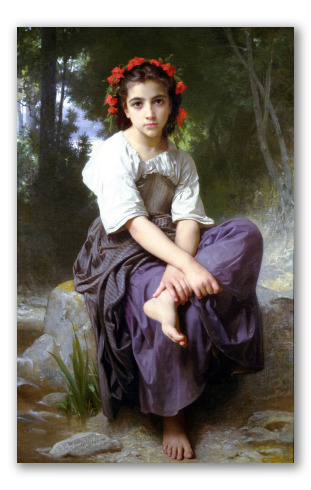 Rural realist painting entitled "At the Edge of the Brook", painted by William-Adolphe Bouguereau in 1875. This painting depicts a young girl with a diadem of flowers, dressed in clothes from the period and seated on a rock along the shore of a stream, surrounded by a field. This work currently belongs to a private collection.